I was thinking the other day about how when I was 16 years old, my mother was 37. Which is only 2 years older than I am now. And I kind of had a light bulb moment, because I barely feel equipped to mother a 9-year old, and if I had a teenager right now I might just have to dig a hole and go hide in it. I mean, I still feel like I am a teenager sometimes. That year when I was 16 was probably the worst in my teenage life as far as my mom is concerned. I'm fairly certain she didn't know what to do with me or how to deal with my choices and that I caused her many gray hairs and much stress. It's weird for me now, to be almost the same age as she was then, and realize that it must have been just as hard for her to be the mother of a crazy adolescent daughter as it was for me to be the crazy adolescent daughter. And it's really too bad I didn't understand that back then. 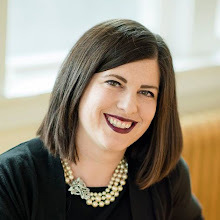 Conversely, sometimes I forget when dealing with my own children how it felt to be a fourth-grader or a first-grader, although I'm not really sure if I remember being a preschooler. And I'm sure that parents all over the world sometimes forget what it was really like to be a teenager, especially with all of the life experience we've had since then. Our teenage troubles seem silly now, and we forget that breaking up with a boyfriend or being teased at school really was the worst thing ever. 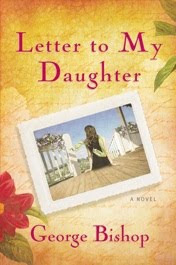 Letter to My Daughter by George Bishop is a book that explores some of these things in the form of a (very long) letter from a mother to her 15-year old daughter. The mother, Laura, uses the letter to explain to her daughter, Liz, that she actually does remember what it meant to be 15. And she tells a lot of her experiences as a teenager and how they shaped the woman she is today. She talks about her first boyfriend, her troubled relationship with her own mother, being teased at school, and much more. I really enjoyed the book. It's a quick read, because even a very long letter can't be more than a couple hundred pages! Quick as it is, it's also quite poignant and very engaging. It portrayed the complicated relationships that mothers and daughters so often experience in a way that every woman will be able to relate to. I related to the mother and the difficulties of parenting so well, and yet, at the same time I found I related to the daughter as I recalled my own teenagerhood. The book made quite an impression on me and I thought about it for several days after I finished it. 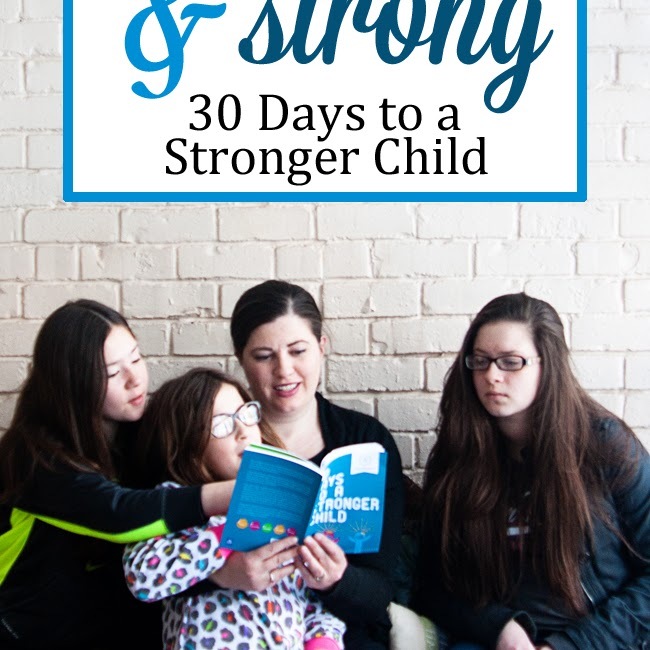 It definitely made me want to go at my parenting through a bit more of an empathetic lens. Maybe I'll even get out my old journals and read all my own angsty entries as I wait for my daughters to get to that point...and feel sorry for my poor mother all the while. Do you want to read this book? The publisher is kindly offering to give one copy to one of my readers! Make sure to comment on this post and tell me how you've turned into your own mother as a parent. I will announce the winner on Monday, May 10. The book looks good. I'd sure like to read it. There are so many ways I have turned into my Mom. At the front of my mind is what you said in your post. Sometimes when I talk, my voice sounds just like my Mom. It is kinda spooky especially since she passed away 10 years ago. She was a great Mom but I'm sure I troubled her around age 15. I wished I would have been her friend instead of making our relationship so hard in high school. It would of made life easier for everyone. Funny. I'm 36 and my oldest girl will be 16 in October. I currently have two teenage daughters. And I, like you, still often feel like a teenager myself. In fact, my husband and I were getting some frozen yogurt the other night, and all of the other patrons were HSers. We discovered that the boy working there was also only a Jr in HS although he looked much older. I realized that I had been viewing myself as barely older than what I thought was a young 20s guy, when he was likely viewing me as a peer of his mom's. I suddenly felt ancient. It's a little sad. Every day I turn more into my mother. Things I swore I'd never do: be strict about "standards" issues, make my kids keep their rooms clean, while mine is a MESS are the two that come to mind. I'm happy to be like her though in many ways and hope I can keep on growing and learning more from her. Would love to have a copy...how do you get all these books sent to you???? I remember wondering why my mom wanted us in bed every night on time- why did she want to get rid of us so bad? And now? Bedtime is the favorite time of the day! That sounds like a WONDERFUL book. I think I am guilty, just as my Mom was, of not being empathetic enough with my own daughter. She's clingy and high maintenance as compared to the other kids. Sometimes, it really irritates me. Sounds like I NEED to read this book. Sounds like a great book. I think I NEED to read it now that I have a daughter! I'm in the beginning of stages of mommyhood at the ripe old age of 36 - 37 in a few weeks. my mom had me when she was 20 so when she was the age I am now - I was 17 and getting ready to head to college. I cannot even imagine having a child that old right now! We all go through our hard spots with our moms, and I too wish I knew then what I know now - especially about how much she loved me. Can't wait to read it! I will never forget the moment when I realized I remembered my mother when she was my age. It really was unnerving to think she was probably about the same place I was, as I child I thought of her as a static adult, not someone still figuring things out! I became my mother as much as possible, I suppose, I had 6 children with the same spacing as hers (this was NOT on purpose, a couple of mine were surprises). I find myself saying things all the time that my mom said to me. My mom has a little plaque on her wall that says, "Mirror, mirror on the wall. I am my mother after all." I do things in the same way she does (except for the ironing pillow cases thing, that's not my thing). And I'm sure if I had a daughter she'd be just as crazy as I was back then. At this point in my life I can't imagine having a teenager. Like you said, I find it hard to believe I even have an 8 year old! I'm intrigued now, though, so I'm going to pick up this book. I have turned into my mother in the whole practicing the piano department. I HATED that as a kid and now I am doing it to my child!! but at least I feel like I have a good reason for doing it...and my daughter doesn't have to practice for an hour like I did! My mother and I totally butted heads while I lived there. Since becoming a mother our relationship has changed for the better which is a good thing. I very much so need to read this book. My daughter - now 10 1/2 - is rapidly turning into an independent, moody teenager. I am ashamed to say that I have forgotten a lot of what it's like to be that age and find myself getting frustrated with her over what I call mouthiness, but if really just her logical brain finding fault in mine. Though I remember doing the same thing to my mother, I often hear phrases come out of my mouth that my mother would use on my brother and me. I wrote journals like crazy at that age, just hoping that some day it would help me out. Make me a better mom than mine. After reading your review, I would love to win this book! I too had a somewhat strained relationship with my parents during my teenage-hood and I think it would be good for me to be able to see that time from their perspective. I am glad everyday that I still have 8-9 years until I have a teenage daughter! I'll be almost 40 by then and much more mature (right, right?!). i'll be adding this one to my books to read list! I say things and realize after the fact that it sounds like something my mom would have said. It's crazy! Just the thought of me at 16 makes me shudder. My poor, poor Mother. 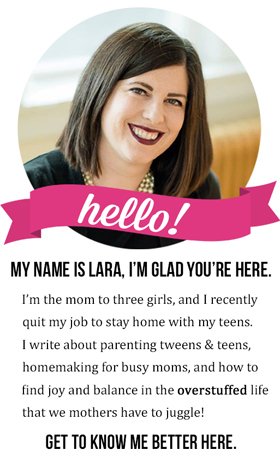 I'm new to your blog - and I'm lovin' it! I find myself more like my mother as I try to convince my 9-year-old to clean his room. It's so aggravating. And I know that he is just like I was when I was that age. I'd love to read that book - with 4 daughters I have a feeling I'm going to need it! I have turned into my mom in so many ways; some are good, some not so good. The one I'd like to improve on is the yelling one. My mom is a yeller. And I hated it. And now I'm a yeller. I think "Today I'm going to be good. I'm not going to yell" and then I start yelling. UGH.